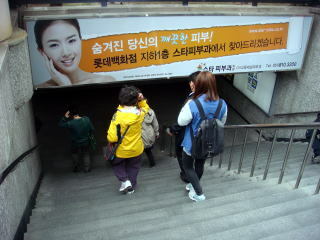 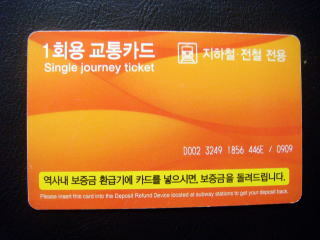 daily and making a profit for Korail since 2007. 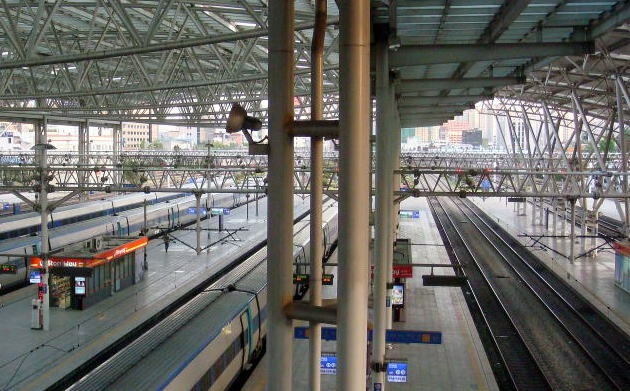 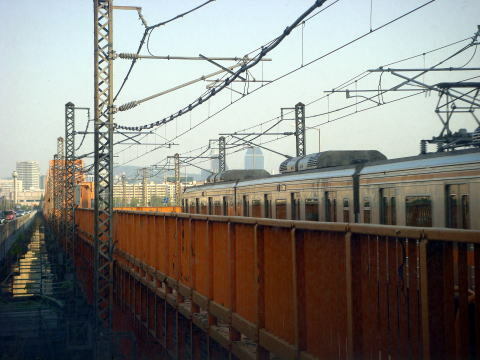 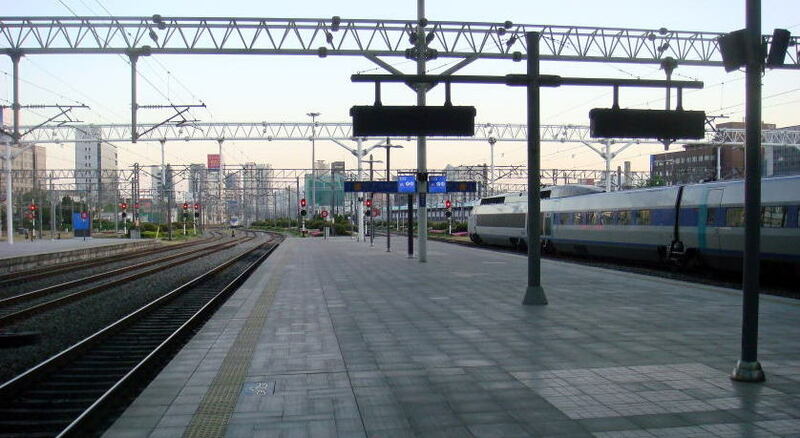 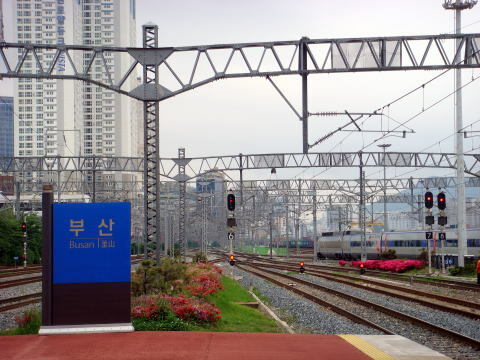 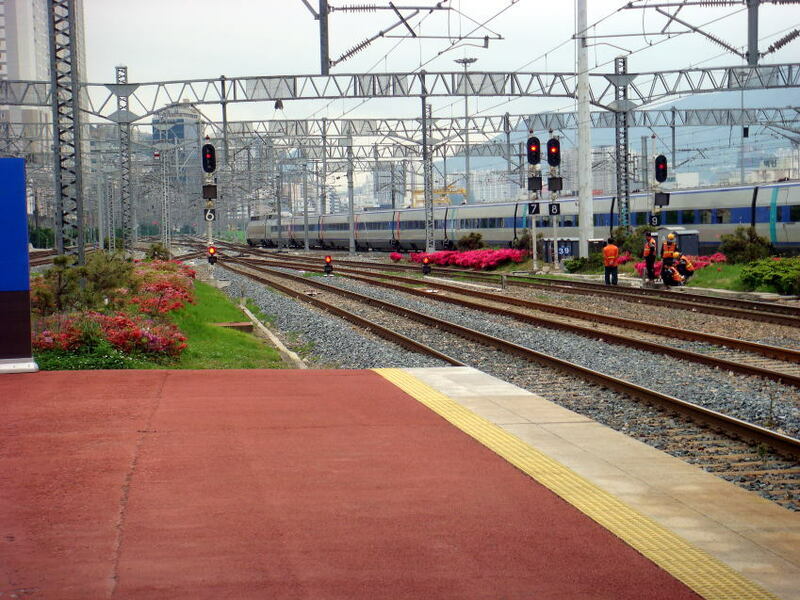 In November, the Seoul-Busan line entered in full service. 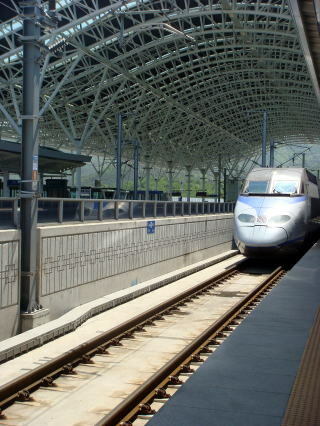 Instead of being underneath a piece of rolling stock, Jacobs bogies are placed between two-car body sections. 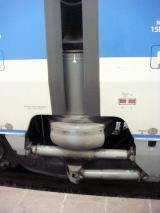 The cars on either side spread their weight on one-half of the device. 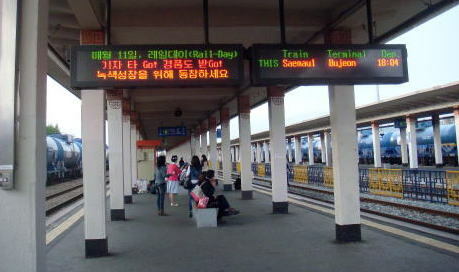 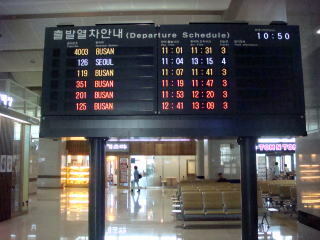 (L) A departure board at Busan station (R) KTX offers two classes: First Class ( as shown in this photo ) and Standard Class. 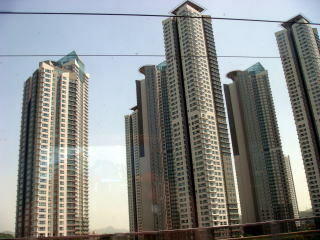 Many high-raised condominiums are observed near the urban district. 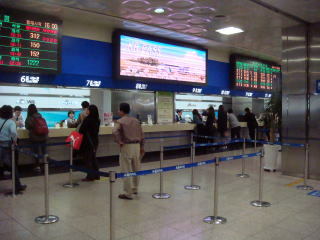 The express train arrived at KTX Seoul terminal. 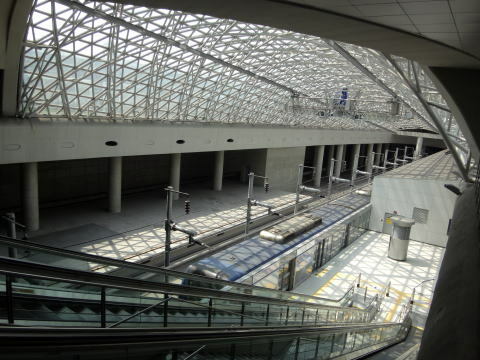 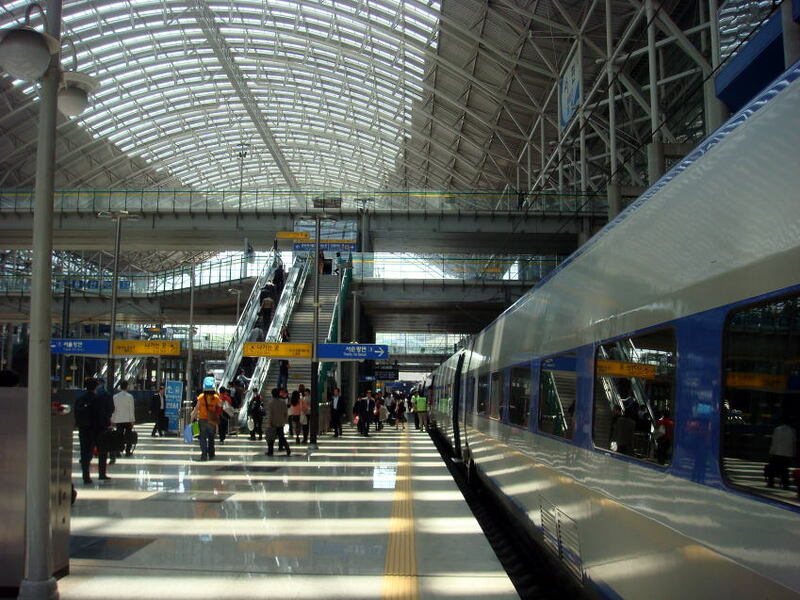 was completed in 2004, in coincide with the augmentation of KTX high-speed rail service. 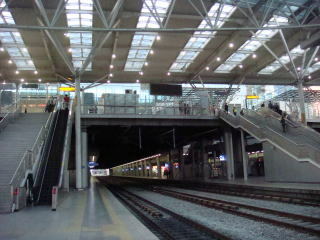 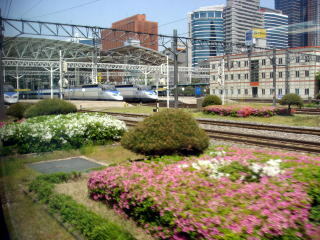 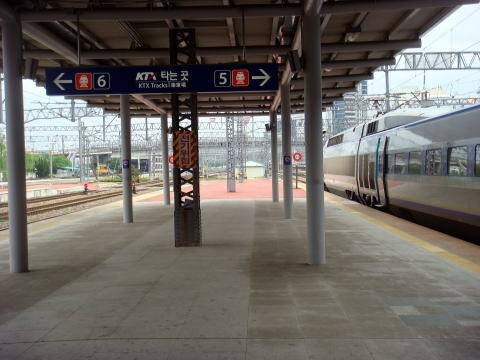 (R) A high-speed KTX train is waiting for a departure at Seoul station. 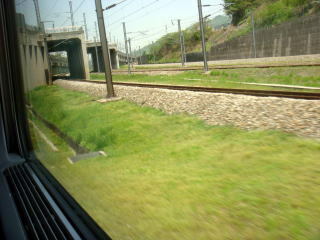 along the route. 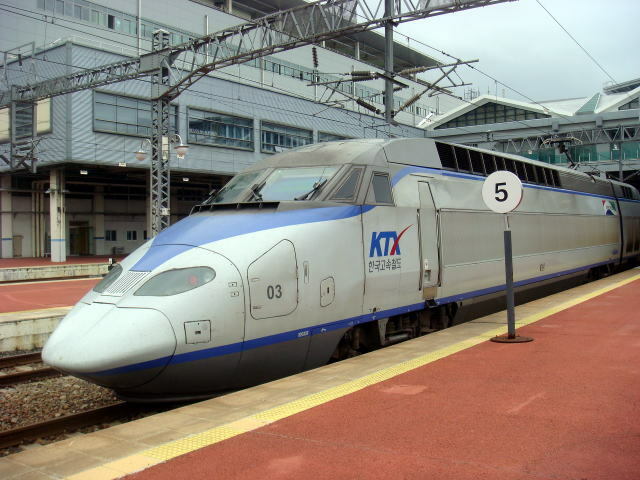 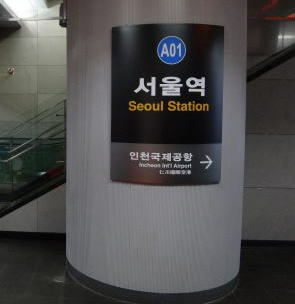 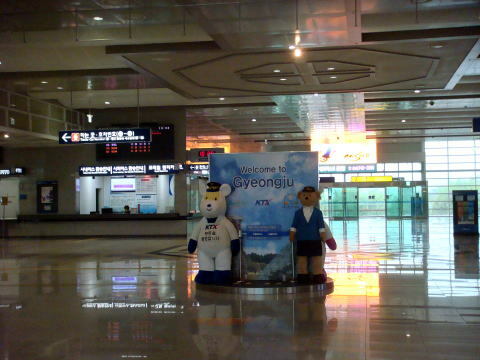 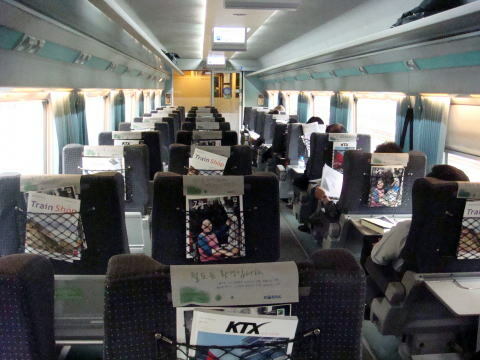 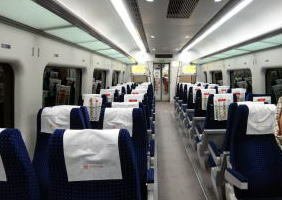 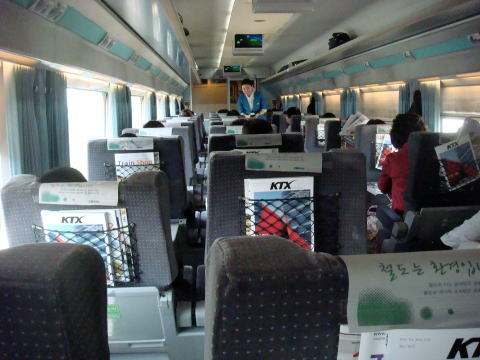 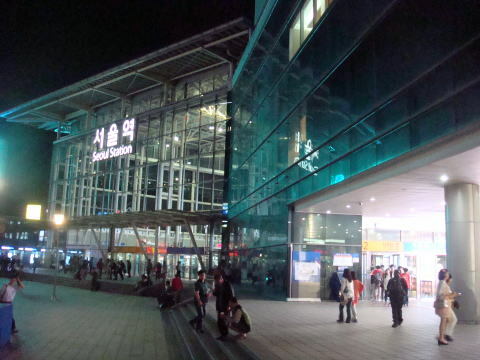 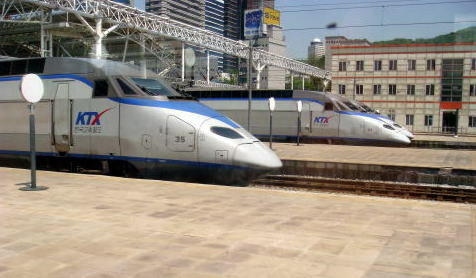 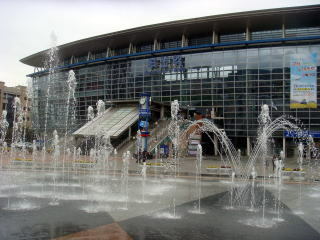 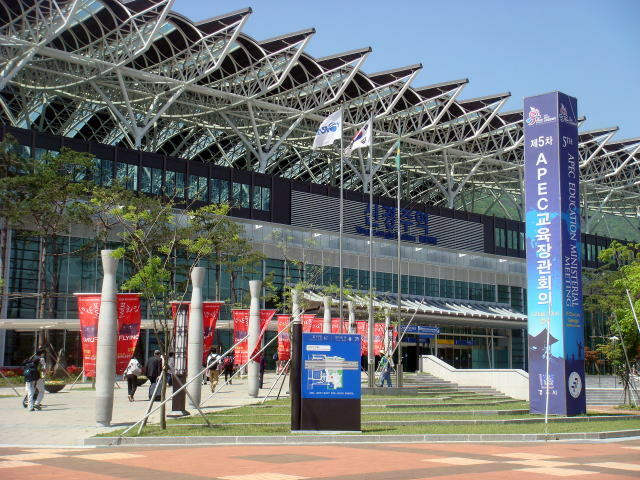 An alternative option is to take the KTX high-speed train to Singyeongju station. 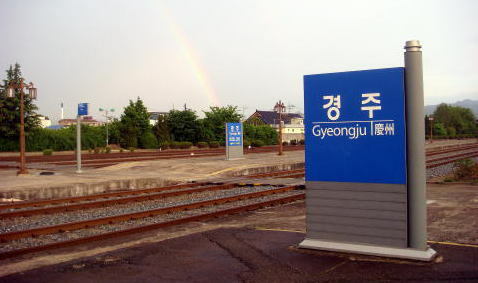 Gyeongju station: A rainbow was temporarily observed, in the distance. 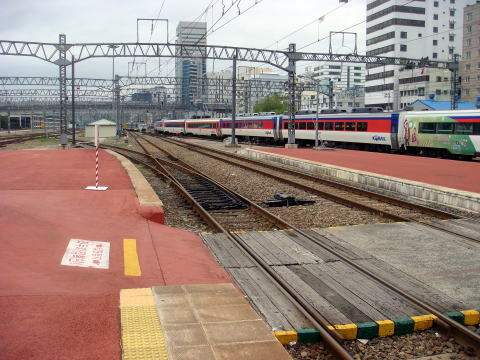 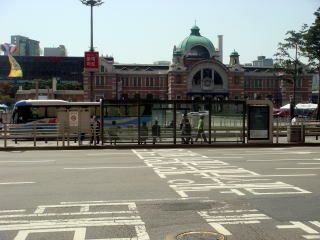 A local train（Diesel car）is departing from the Busan station. 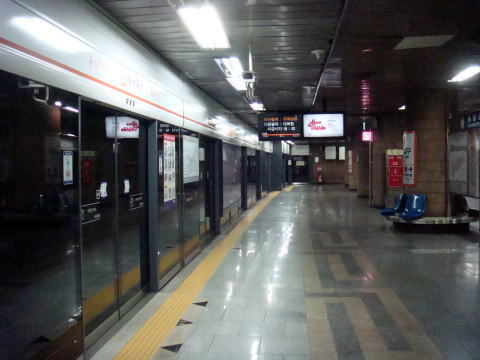 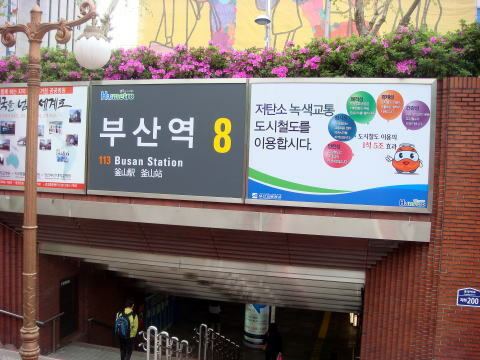 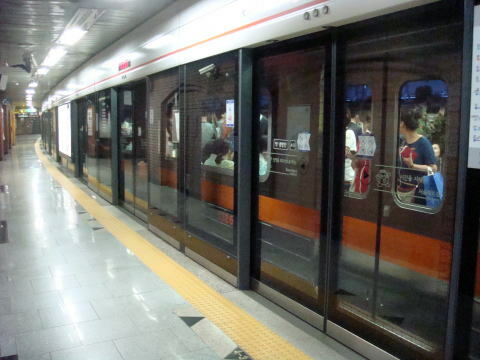 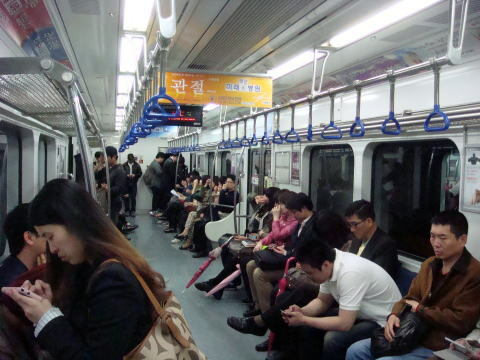 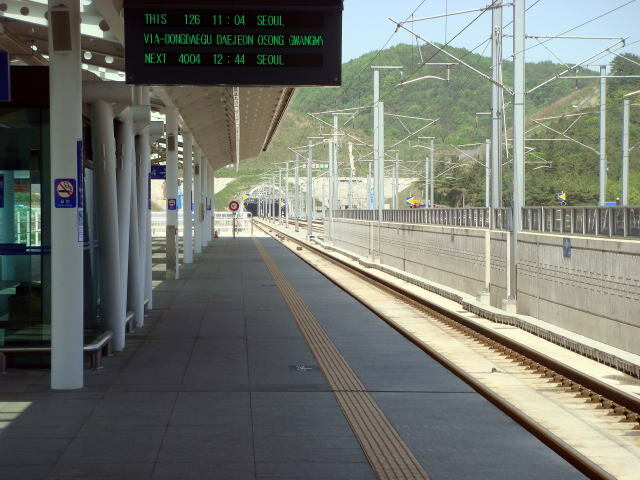 The Busan Subway　consists of five lines, 128 operating stations, and 106.8 kms　of tracks. 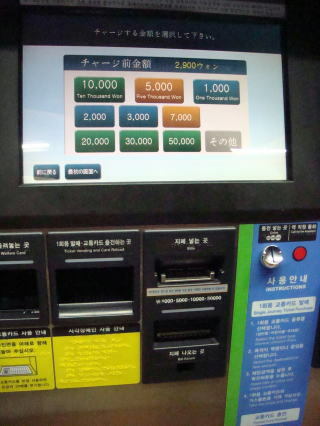 with 100 won added for each subsequent 5 km. 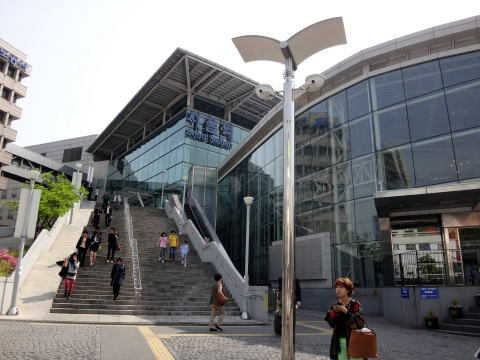 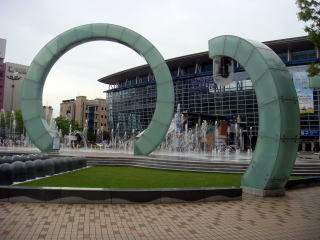 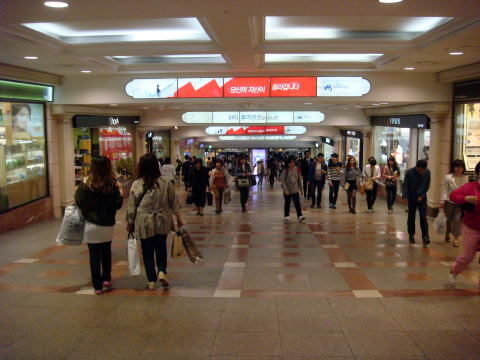 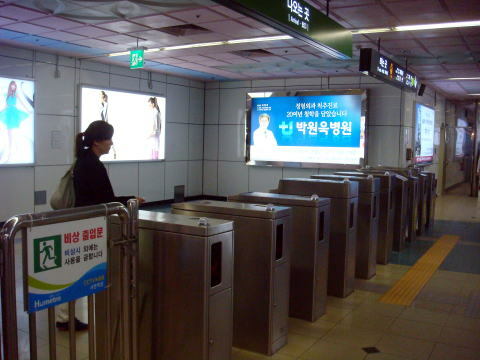 Busan subway entrance connected to the Lotte Underground shopping mall. 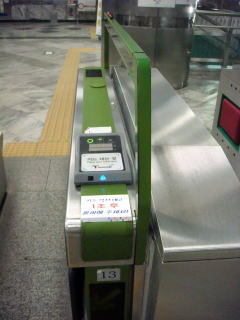 The computerized gate put on the light on when the ticket is valid to that station. 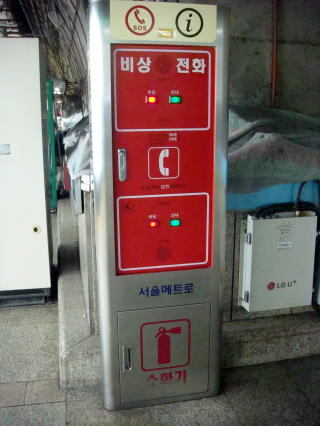 (R) Emergency-call panel placed in the Seoul subway station. 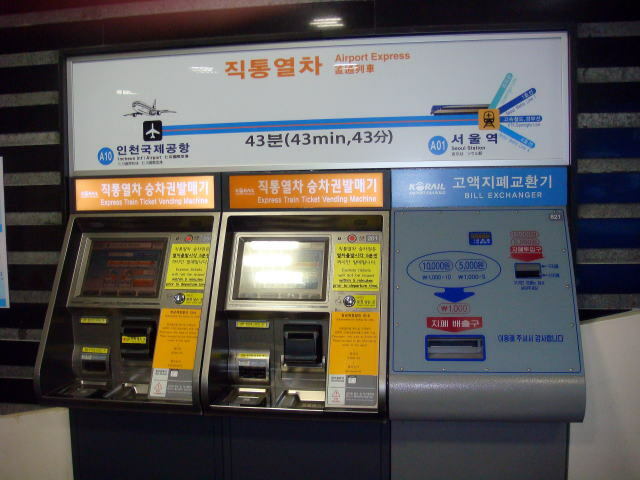 Automatic vending machine for subway ticket and automated ticket gate at Seoul. 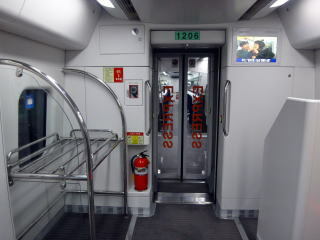 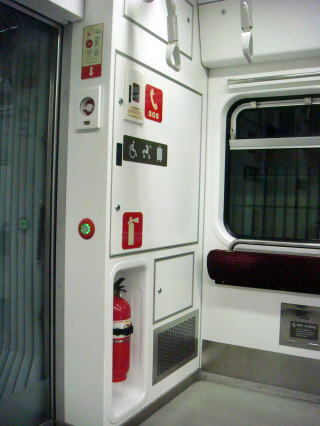 (R) Fire extinguisher and alarm call panel is equipped at each subway vehicle. 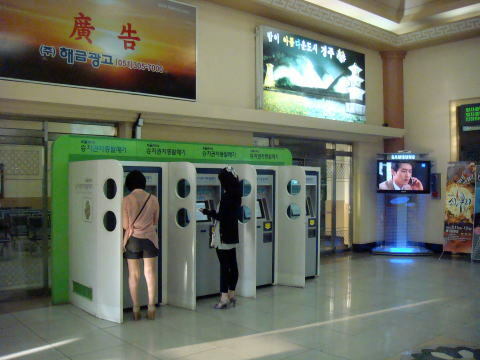 Automatic vending machine for a ticket to Incheon International Airport placed at the Seoul station. 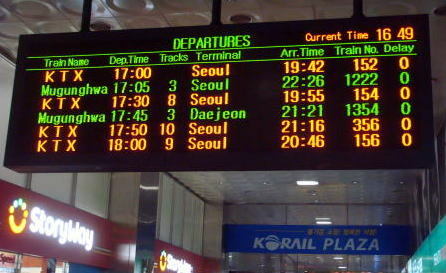 AREX is a South Korean railway line that links Seoul with Gimpo Airport and Incheon International Airport. 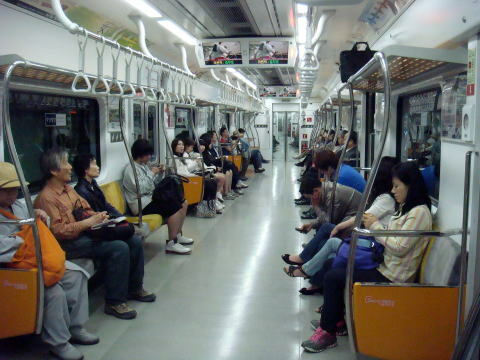 express train, there were a few passengers on a train. 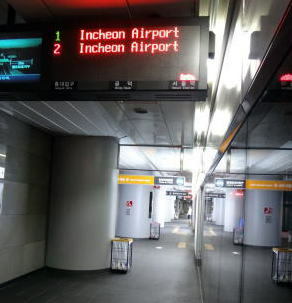 Perhaps, many tourists may use airport bus or taxi. 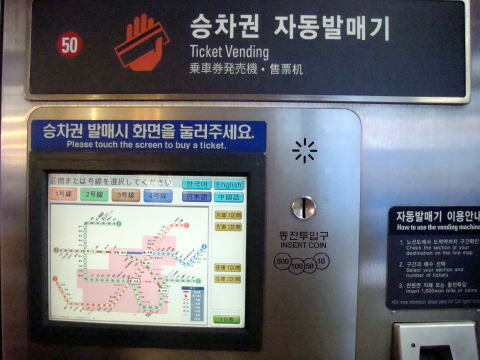 An information was added in December 2016.